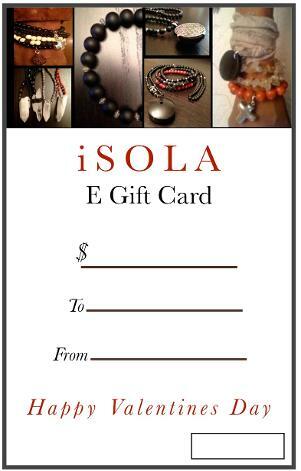 Now you can give iSOLA effortlessly! Sometimes it's hard to choose the perfect gift. 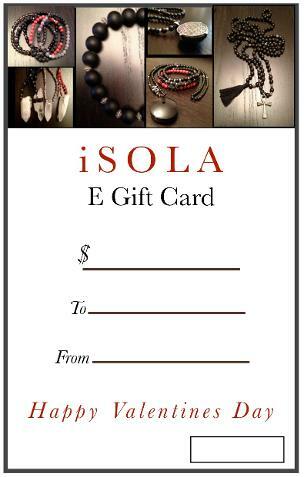 With the iSOLA Gift Card, you both get to choose. Include the following info in your email. 4. Email address to send it to and when to send it. You may have it sent directly to recipient or sent to you to print and gift. 5. Let me know your choice - Paypal or Email Bank transfer and I will send you appropriate invoice or info. 6. Once payment is received I will send a numbered gift card to designated recipient at chosen time.